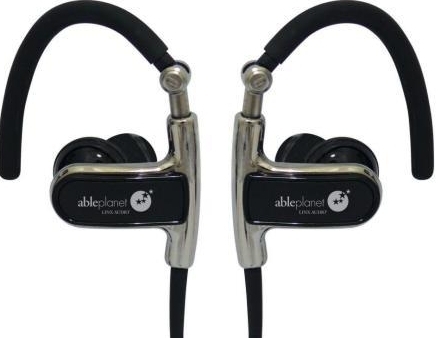 What Is It: Clear Harmony Sound Isolation Earphones from Able Planet. Price and Where to Buy: $139.99-$169.99 from Able Planet and other retailers. Pros: The headphones use a patented LINX Audio system to enhance sound quality and filter out outside sound and distortion, meaning that you can hear your music better without having to increase the volume—an important consideration when your audio has to compete with the roar of a jet engine while flying. The earphones also come with a flexible hook to anchor them over ears of any size. The included carrying case and tangle-free cord design help keep the headphones neat and un-knotted during travel. Cons: The hefty price point! Usefulness: 10/10. Earphones are essential for preserving your sanity during travel, and these travel well and have great sound quality. Portability: 10/10. The Clear Harmony earphones are small, lightweight, and compact, plus the tangle-free design of the cords make them easy to throw in a bag. Value: 7/10. The price is high for non noise-cancelling headphones, but the patented sound isolation technology is worth the extra bucks. Durability: 10/10. Unlike most earphones with ear hooks, these feel solid and not about to snap off at any minute. Everything from the case to the cords feel well-made and well-designed. Cool Factor: 8/10. These earphones are fairly inconspicuous, but they do have a tiny gem on the inside—a special little bit of cool just for the wearer. Final Verdict: If you’re worried about ruining your hearing because you’re always cranking up the volume on your tinny earbuds, or if you want earphones for plane rides but don’t want to lug around bulky noise-cancelling headphones, then the Clear Harmony earphones are worth a try.